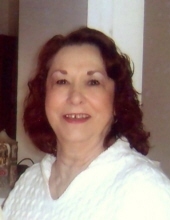 Avis M. Johnson, 78, of Oregon, died Thursday evening, April 11, 2019, in her home. She was born December 7, 1940, in Toledo, Ohio, to Waldo and Violet (Lau) Carpenter. Avis was an LPN at St. Charles Hospital, Oregon, Ohio, for 30 years. She loved her family and was always happiest when she was with them. When she was not able to see them, she always made time to call and catch up! In years past she enjoyed making homemade candy and playing Euchre. Avis is survived by her sons, Warren Johnson and Gary Johnson, grandchildren, Meghan, Caleb, Luke and Aiden Johnson, and sisters, Diane (Dave) Shook and Thais McTaggart. She was preceded in death by her parents, daughter, Karen A. Johnson, sons, Randy and Jeffery Johnson, and daughter-in-law, Jennifer L. Johnson. Visitation for Avis will be 2-4 p.m., Tuesday, April 16, 2019, followed by the funeral service at 4 p.m. in the Robinson-Walker Funeral Home & Crematory, 501 West St., Genoa. Memorials may be directed to Hospice of Northwest Ohio, 30000 E. River Rd., Perrysburg, Ohio 43551. To send flowers or a remembrance gift to the family of Avis M. Johnson, please visit our Tribute Store. "Email Address" would like to share the life celebration of Avis M. Johnson. Click on the "link" to go to share a favorite memory or leave a condolence message for the family.